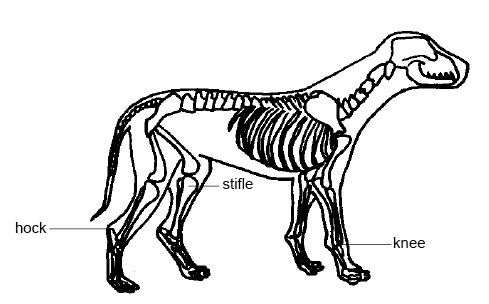 The joint between the femur and the tibia on the hind leg is our knee but the stifle in animals. Our knuckle joint (between the metacarpals or metatarsals and the phalanges) is the fetlock in the horse. 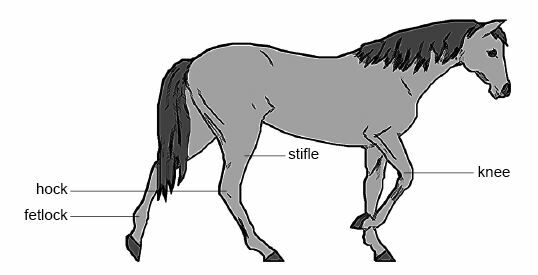 The “knee” on the horse is equivalent to our wrist (ie on the front limb between the radius and metacarpals) see diagrams 6.6, 6.7, 6.8, 6.17 and 6.18.